A Fingertip Guide to Scots Criminal Law is a practical and concise summary of Scots criminal law. Published in a handy and accessible format, this text has become a highly regarded essential source of reference for all criminal court practitioners as well as students of criminal law. This new edition incorporates the considerable legislative changes in criminal law since publication of the last edition. All sections have been thoroughly updated to incorporate essential developments in The Criminal Procedure (Scotland) Act 1995 and Scottish case law. A new section on community payback orders has been added following the 2011 law change. This text is written in a user-friendly way and includes parallel columns of commentary, case law and statute under both substantive and procedural headings. 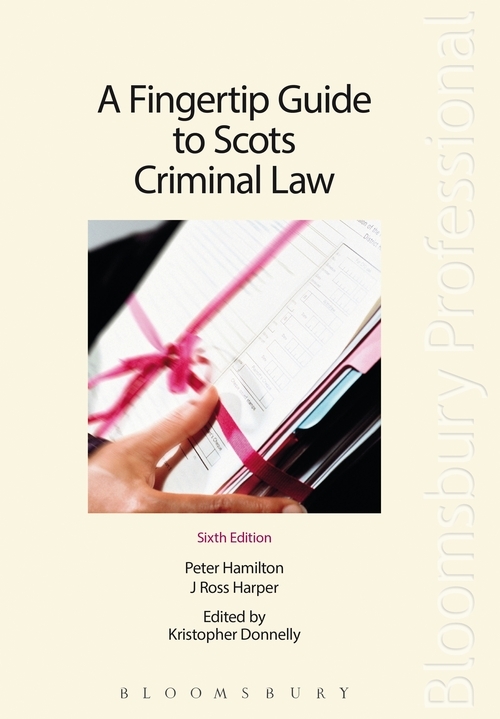 Written by experts in criminal law this well established text is an indispensable guide for every busy criminal court practitioner in Scotland.